Joseph Albert Wicks was born in Hayes, Middlesex in 1918 to William Wicks and Cecilia Martha Wicks (née Goddard). His father died in 1929 and Joseph became a boarder at Lord Williams’s School in Thame from 1931 to 1934. His home address was given as the Clock House, Cowfold, Sussex, which was a large country house belonging to the aristocratic Loder family. He also spent time with his cousin Albert H (Sam) Williams, and aunt Mary who had a dairy farm in Headcorn, Kent and it was probably whilst here in 1939 that he joined the newly formed 5th (Territorial) Battalion of The Royal East Kent Regiment (The Buffs). The battalion, serving with the 16th Infantry Brigade of the 12th (Eastern) Division left for France on the 19th April 1940 and arrived in Le Havre the following day. They trained at a camp near Fleury Sur Andelle, Eure in Normandy and it was from here that the battalion was taken in three ton trucks to Doullens near the Belgian border to defend against the German advance. They were heavily outnumbered and, despite heroic defence, were over-run with many killed or taken prisoner, only a few making it to the evacuation at Dunkirk. Joseph however did not see the action with the battalion; he, most likely, had been taken ill or injured at the training camp as he died on 21st May 1940 and was buried at a nearby cemetery. 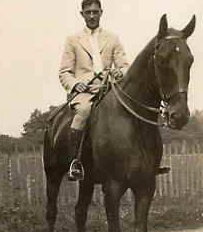 In his will, which was proved on 10th September 1940, he left an estate of £3,435 to his spinster aunt, Mary Maud Goddard at Brookwood Farm, Headcorn. 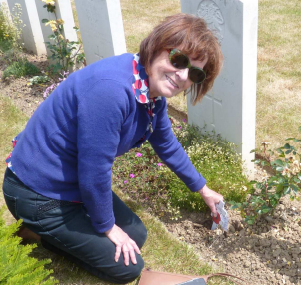 6288045 Private Joseph Albert Wicks, Royal East Kent Regiment is buried at Evreux Communal Cemetery, Eure, France. He is remembered in Thame on Lord Williams’s school memorial board and is also remembered on the war memorial in Headcorn, Kent.